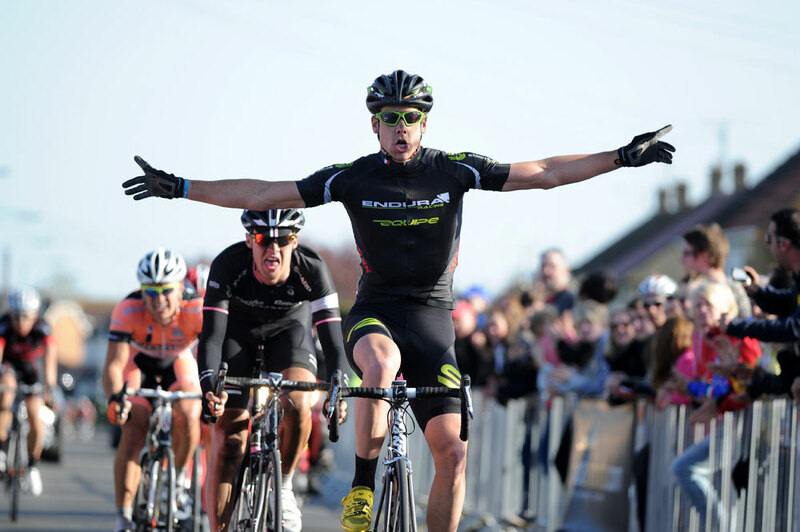 Endura Racing continued their impressive start to the season when Alexandre Blain sprinted to victory in the opening round of the elite Premier Calendar road race series, the 104-mile Maldon Dengie Tour in Essex. 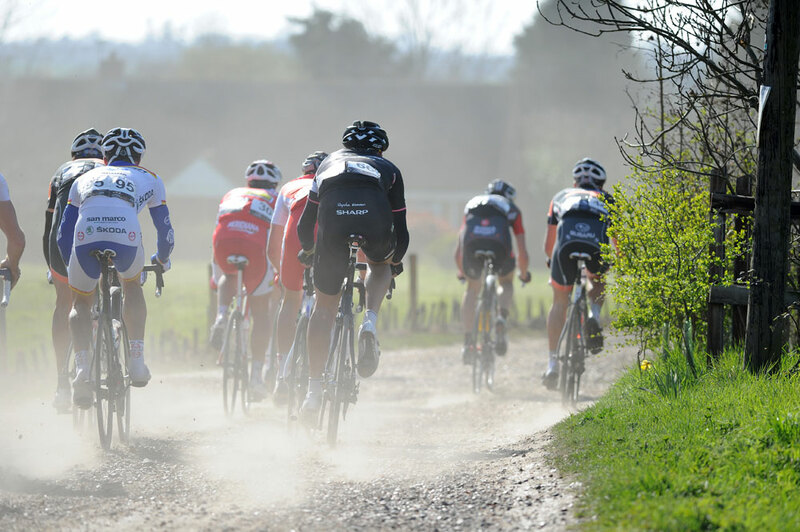 The 31-year-old Frenchman came in ahead of Ben Grenda (Rapha-Condor-Sharp) and Matt Cronshaw (Node4-Giordana Racing) after nearly four hours of racing on a course that was a testing mix of road and rough, narrow farm tracks – producing a string of punctures – between Maldon and the Dengie Marshes. Roberto Cesaro (Meridiana Karmen) and Simon Richardson (Team IG-Sigma Sport) – one of the puncture victims – completed the top five, who emerged from a leading group of 13 in the closing miles to fight out the finish with Marcin Bialoblocki (Node4 Giordana Racing) in sixth as he led a late charge from behind which almost paid off. 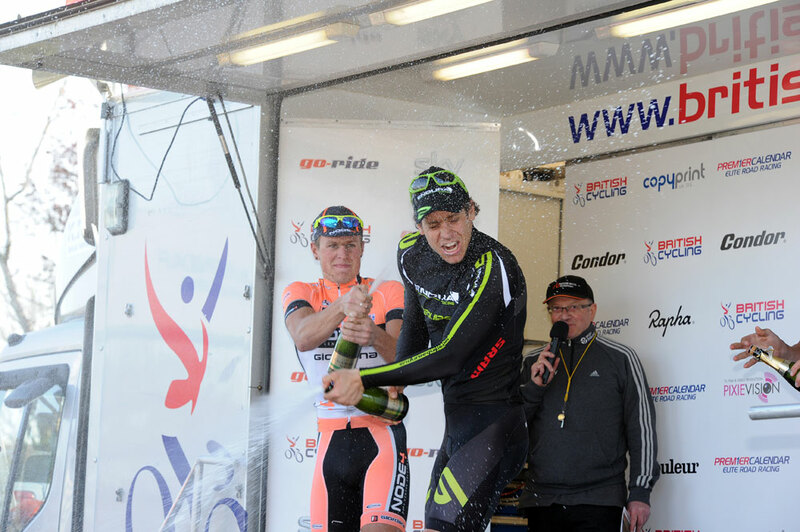 Blain, overall winner of the Tour of Normandie last year, paid tribute to the work of his Endura team-mates to secure the win. “I’m over the moon,” he said. “It was a fantastic team effort and every one of them worked so hard to get me across the line in first place. Andy Hastings (Metaltek-Scott) made the first significant break of the race, opening up a gap of around half a minute on the first rough section, but he later went down in a crash in the peloton as a leading group of around 30 riders came together on the second climb of Steeple Hill. Sam Harrison (100% ME) went on the attack followed by Chris Opie (Team UK Youth), stretching their lead to a minute, but the Endura boys were in control and reeled the leaders back before a new group emerged at the front from which the outcome was eventually decided.